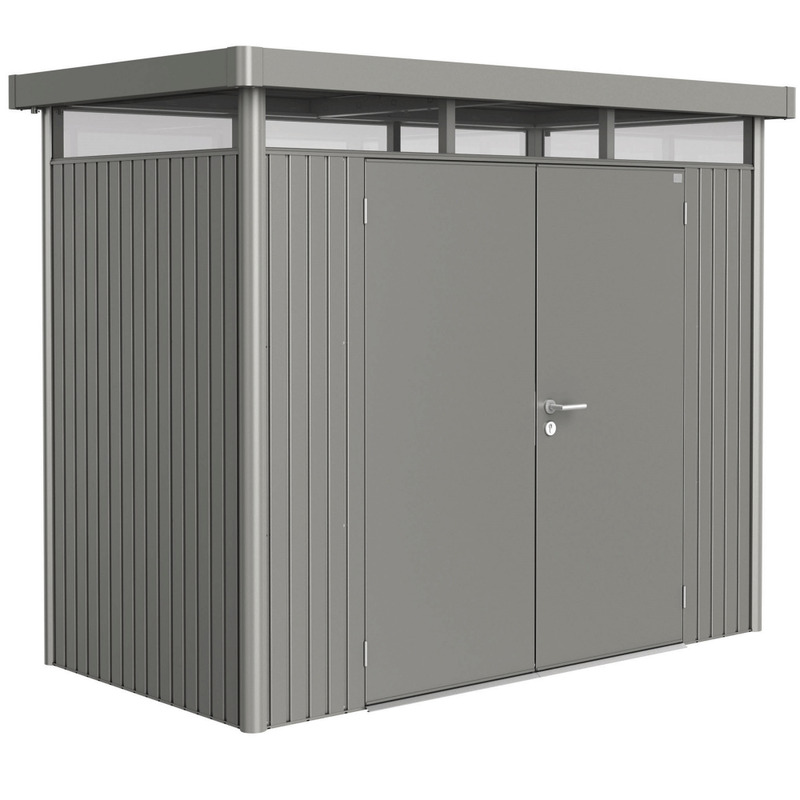 Storemore HighLine size H1: This double door shed is an ideal storage solution for your garden. . It is made from high tensile steel and is galvanised and polyamide coated to ensure it is long lasting and lives up to its 20 year warranty. The shed boasts a 3 way locking system including a cylinder lock with two keys. It has a high snow load, a gas assisted damper for the door and an inbuilt gutter. Inside, there is an integrated storage system including shelves and tool hangers. There are a wide range of accessories available for this product.